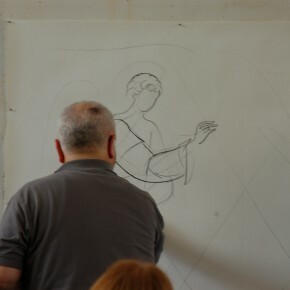 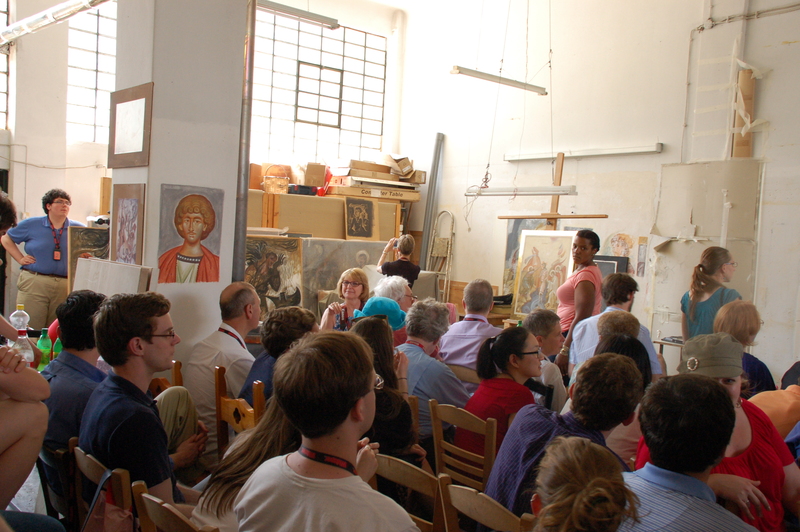 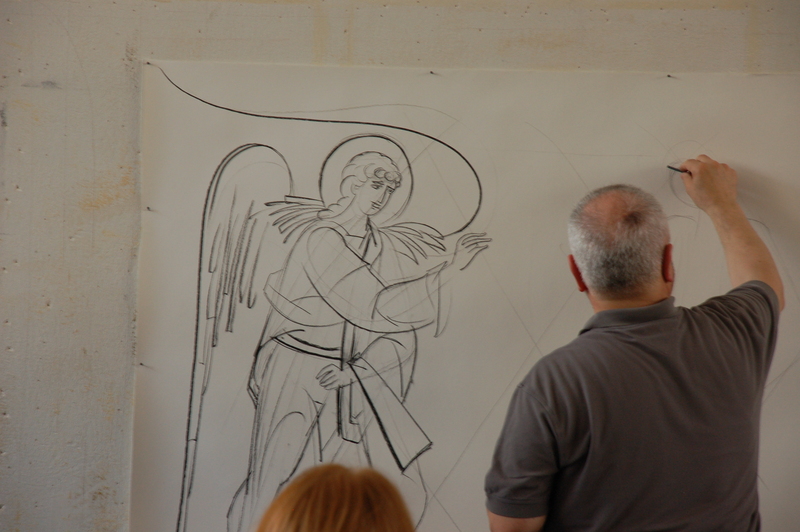 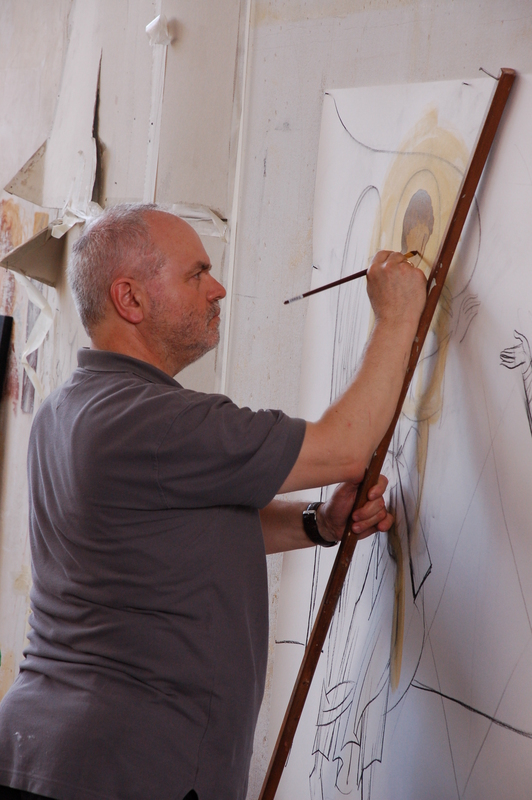 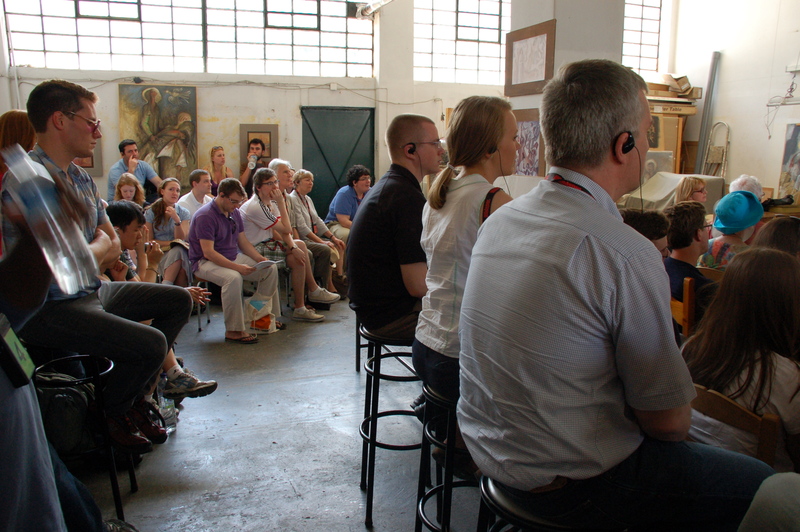 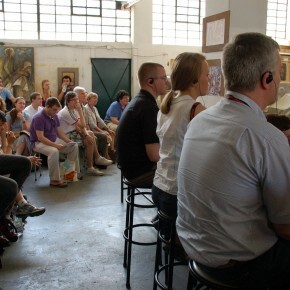 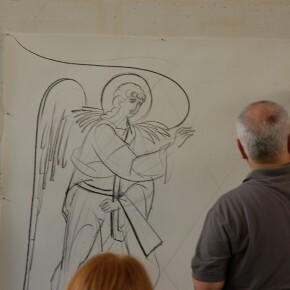 We spent our last afternoon in Athens visiting the studio of artist George Kordis, where he gave a fascinating demonstration of his icon painting process. 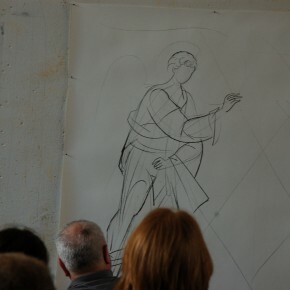 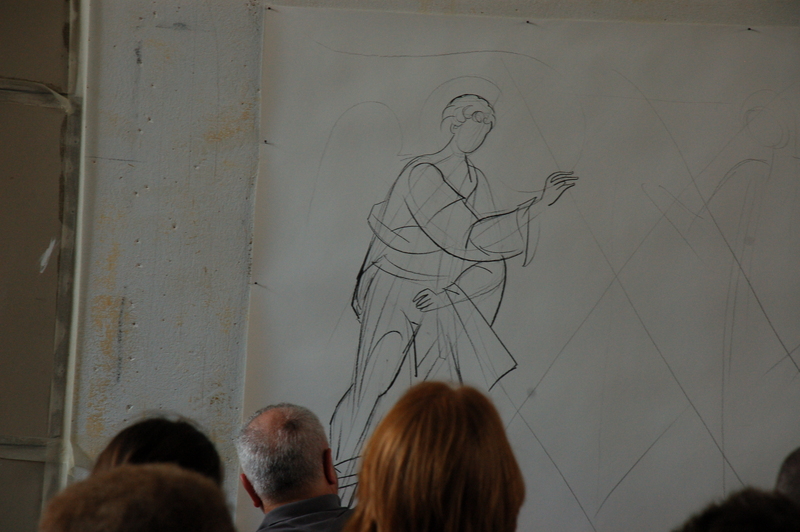 We all sat, mesmerized, as he brought figures to life with the expert sweep of a charcoal pencil. 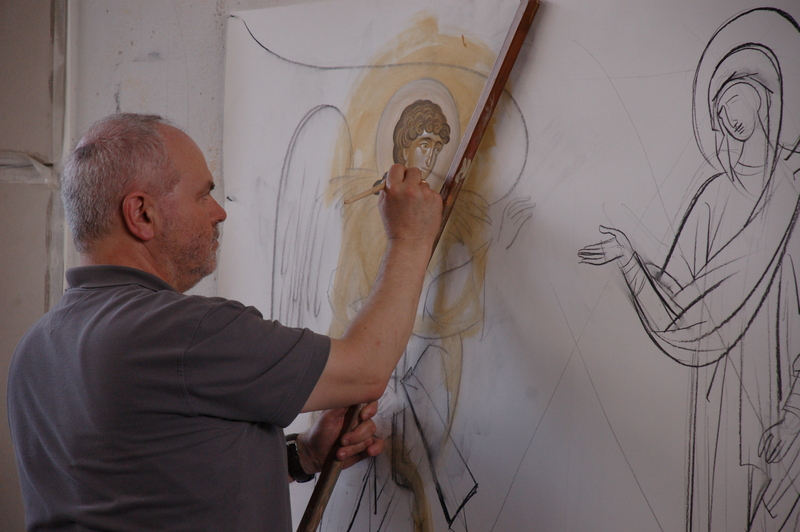 You can see him at work on a much larger scale in the video below! 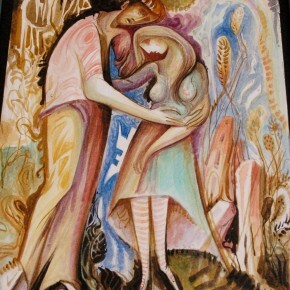 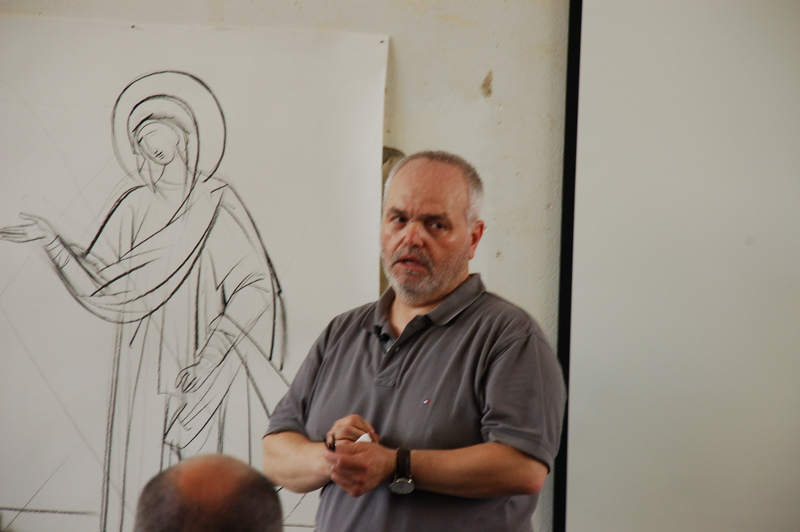 Born in Greece in 1956, George Kordis read theology at the University of Athens. 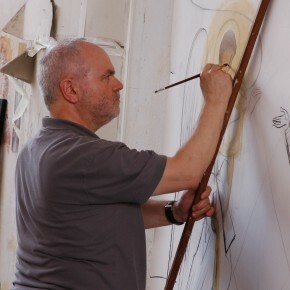 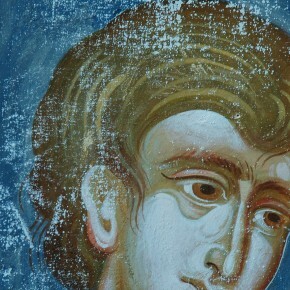 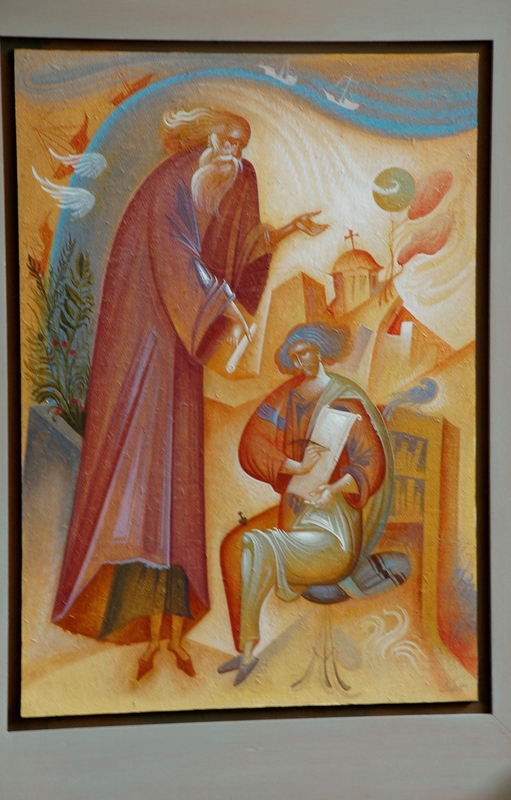 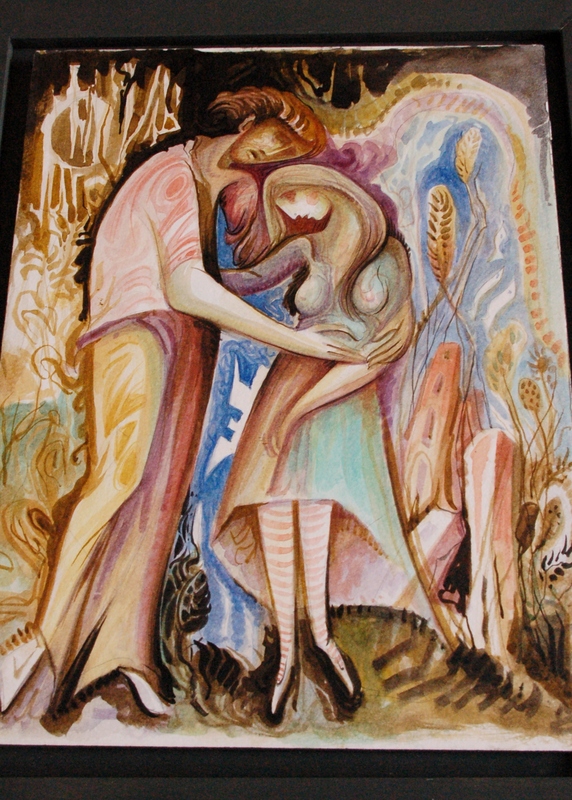 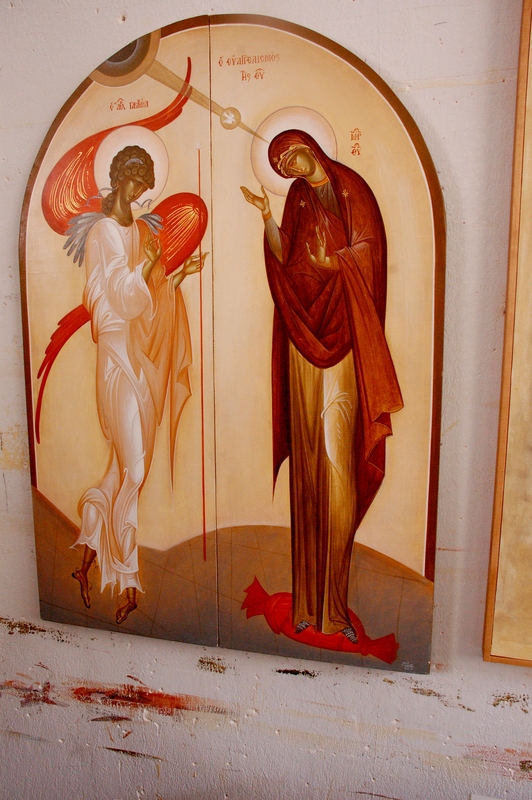 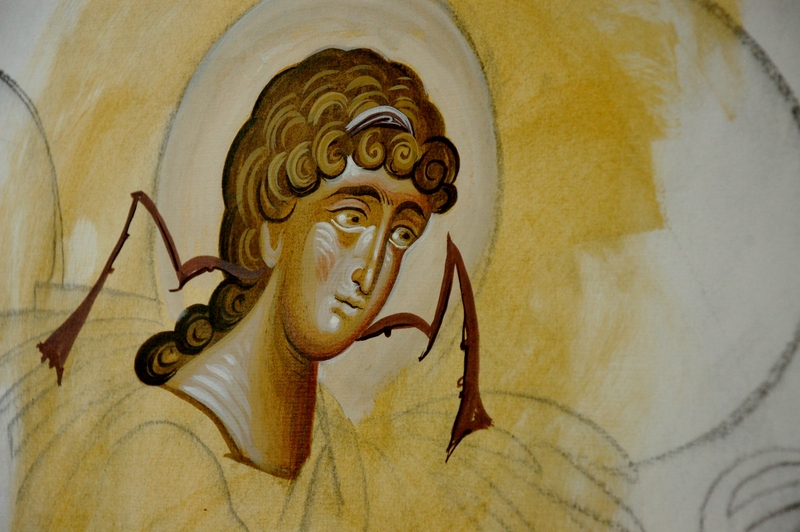 He pursued his studies at the postgraduate level at Holy Cross Theological School in Boston, where he specialized in both theology and the aesthetics of Byzantine painting, gaining an MA in theology. 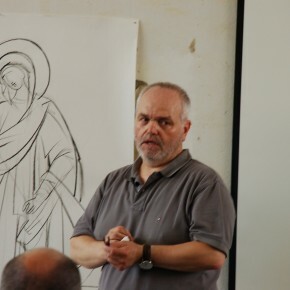 In 1991 he was awarded his Doctorate in Theology at the University of Athens, while in 2003 he has appointed to the post of Lecturer at the same university. 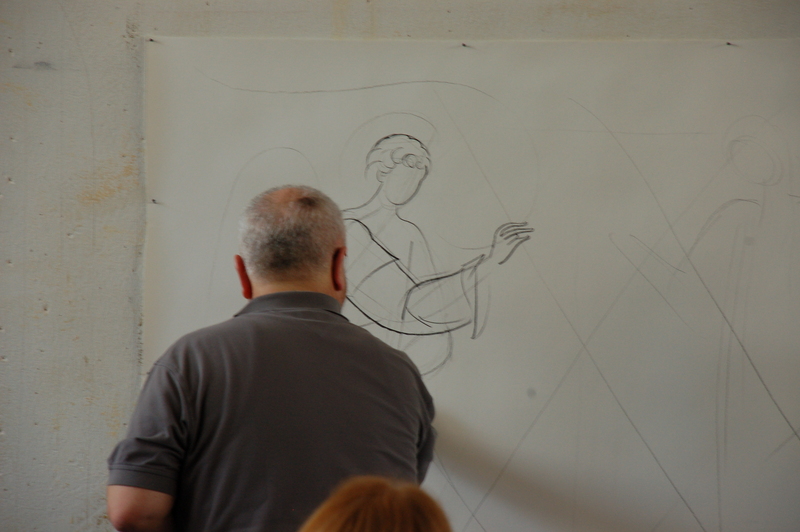 Today he is an assistant professor in Iconography (Theory and Practice) at the University of Athens. 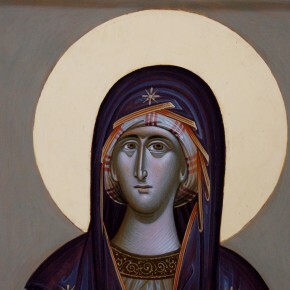 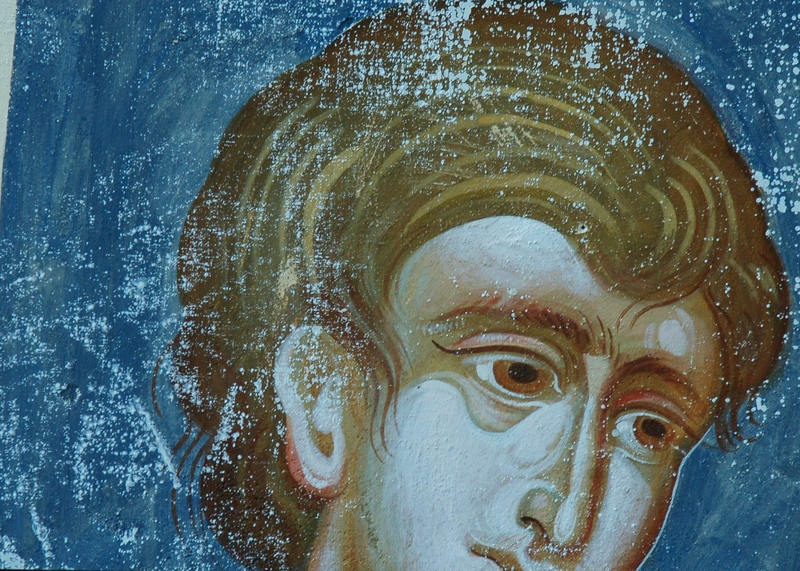 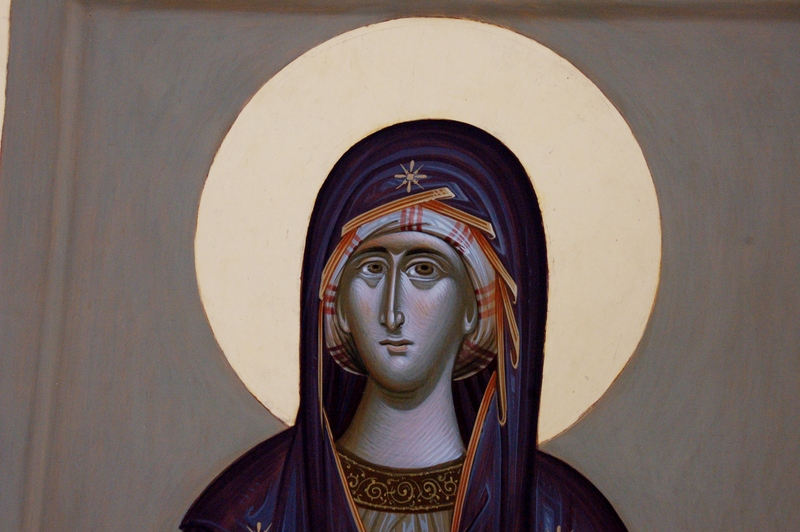 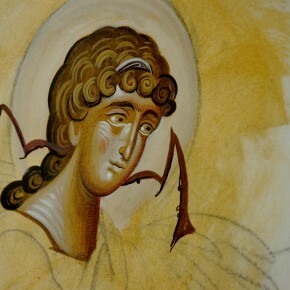 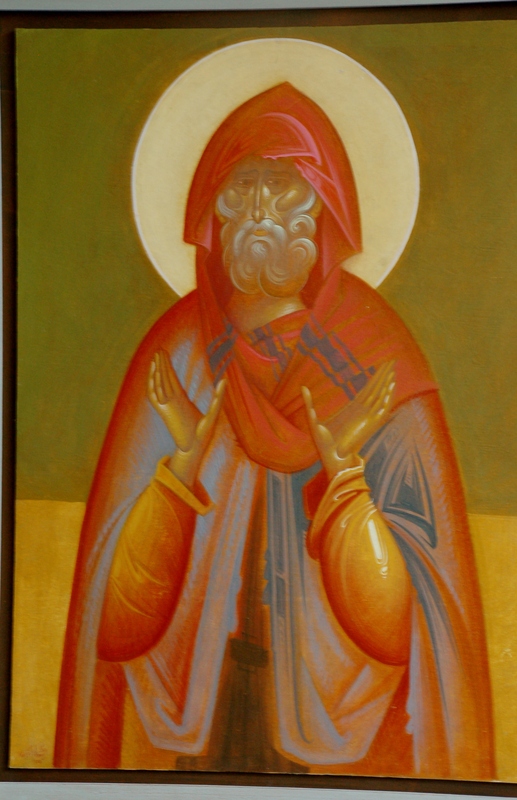 In addition to lecturing and writing on Byzantine iconography at the academic level, George Kordis also teaches the art of icon painting. 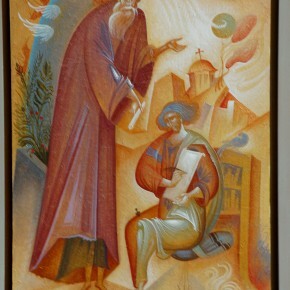 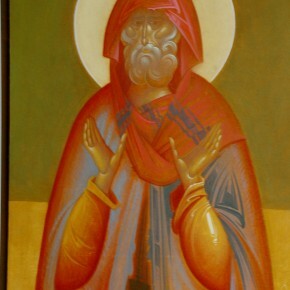 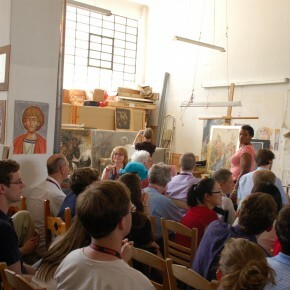 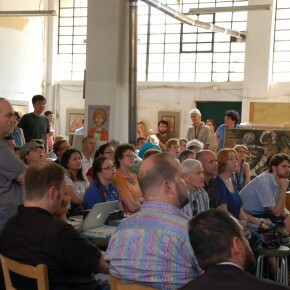 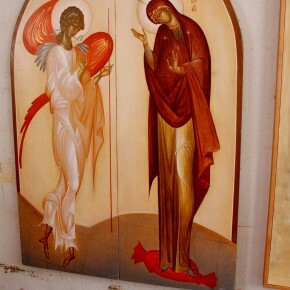 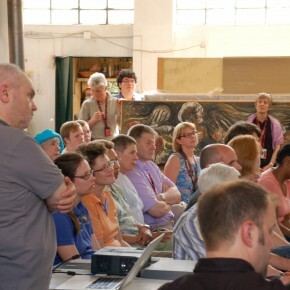 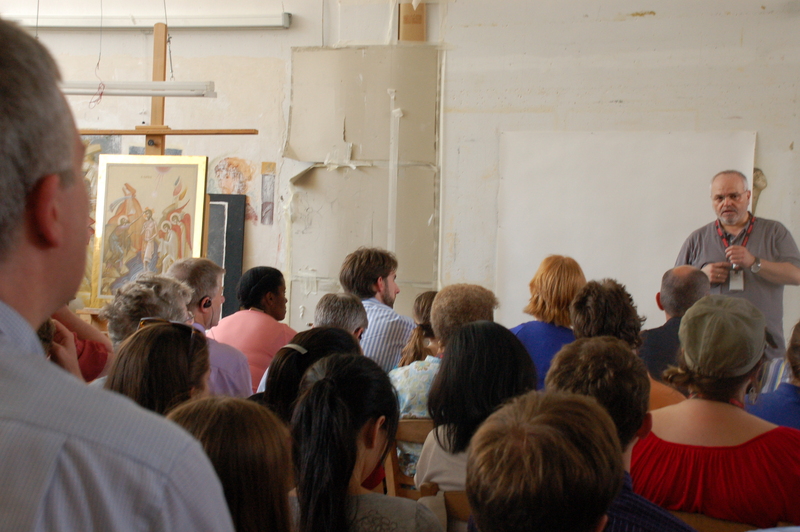 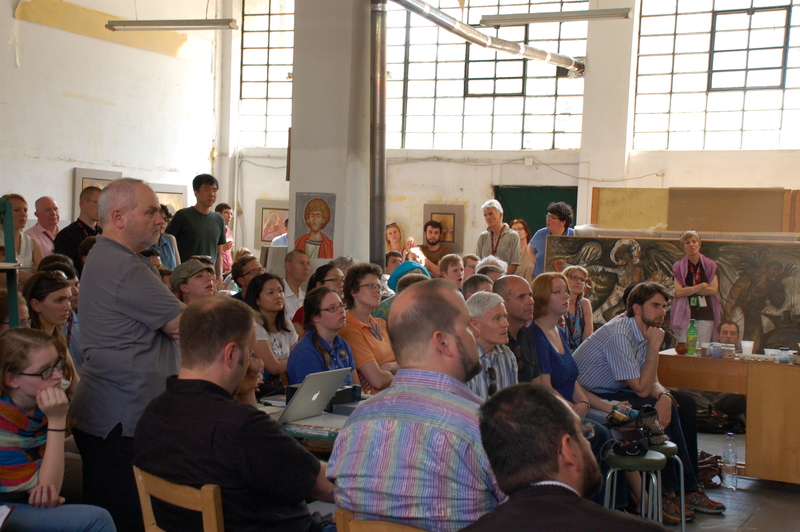 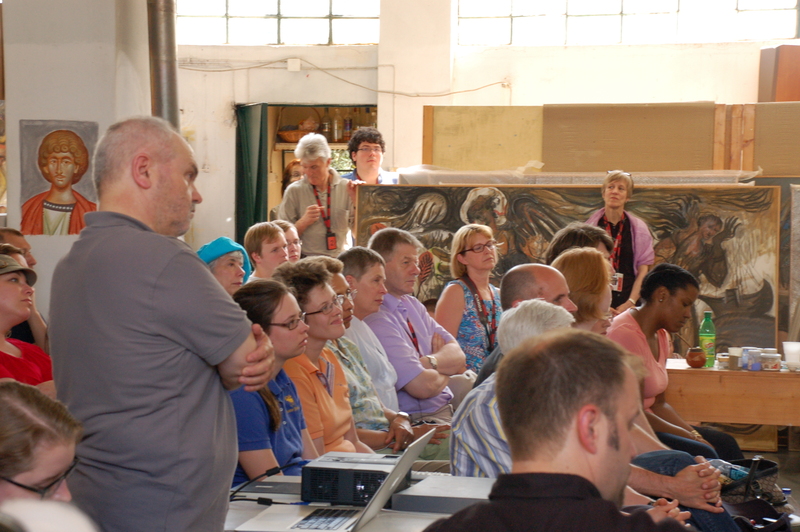 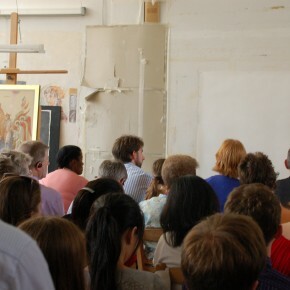 He is a visiting professor on the summer program of Yale University (at the Institute of Sacred Music), at which his last course was entitled Glory on Earth—The Art of Icon Painting, on the School of Fine Arts (Cluj Napoca) Rumania, School of Theology of Bucharest Rumania, Pedagogical University of Odessa Ukraine, University of South Carolina etc.